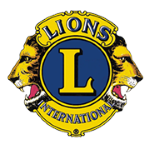 ​This year, the Lions are organizing a band to perform for the Lions State Convention to be held May 17-18, 2019 at the Kalahari Indoor Waterpark, Resort, and Convention Center in Pocono Manor, PA. Students will meet on Friday May 17th, rehearse that evening, and perform two concerts on Saturday May 18th. What is the Lions Band? The Pennsylvania Lions All-State Band provides high school musicians the opportunity to rehearse and perform a wide ﻿variety o﻿f music in both state-level performances and international tours. The band is sponsored by Lions Clubs of Pennsylvania and students participate at little to no cost thanks to their generosity. The All-State Band is under the musical direction of Dr. Russell McCutcheon, and features a senior staff of experienced music educators from across Pennsylvania. The All-State Band Committee administers operations of the band, led by committee chair Vince LoRusso. Each year the Lions All-State Band performs at the Pennsylvania State Lions Convention. Recent conventions include Seven Springs, Reading, Lancaster, and Valley Forge.